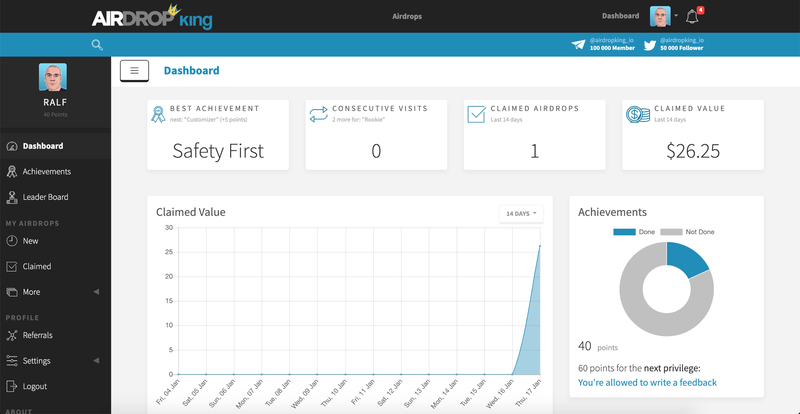 You can now sign up on https://airdropking.io/accounts/signup/ to keep a record of your claimed airdrops, like and dislike airdrops, collect points to compete with others and much more. Most likely the easiest Sign Up you’ve ever seen! 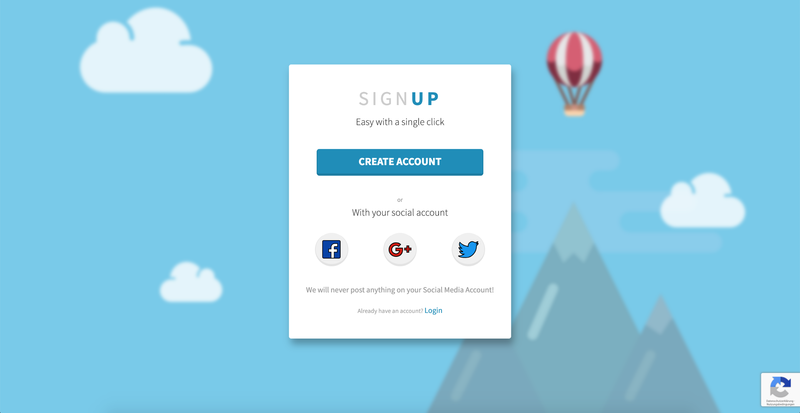 Just a single click and you’re signed up. This is possible with a private key which you should already know from blockchain projects like Ethereum. After you’ve clicked the signup button you’ll receive a private key with which you can login again. Therefore, make a backup from that key and store it in a safe place. Everyone who as access to this key can access your account. If you don’t want to use this new feature you can also register using your Facebook, Google or Twitter account. You’ll still get a private key but you can also sign up with the other options. Everything important on one page. 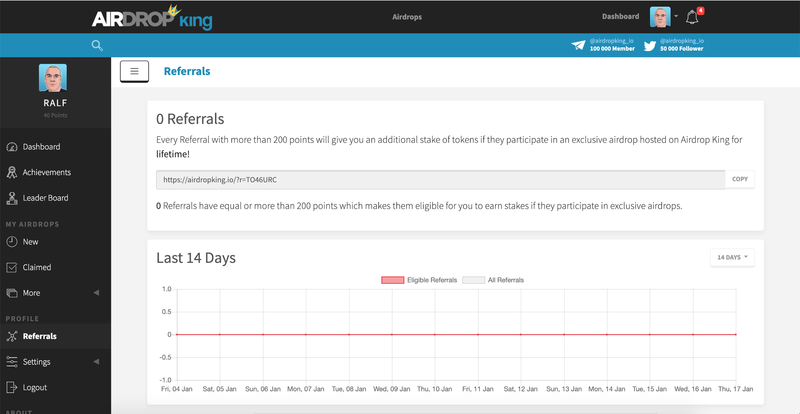 Earning points will grant you privileges like earning more tokens from exclusive airdrops or higher like-multipler. After you clicked the big blue “Join Airdrop Now” button this airdrop will automatically added to your list of claimed airdrops. You can also add custom notes to it like which ETH address you used or other important things. This makes it needless to use a special Excel sheet. You’ve also a referral link. 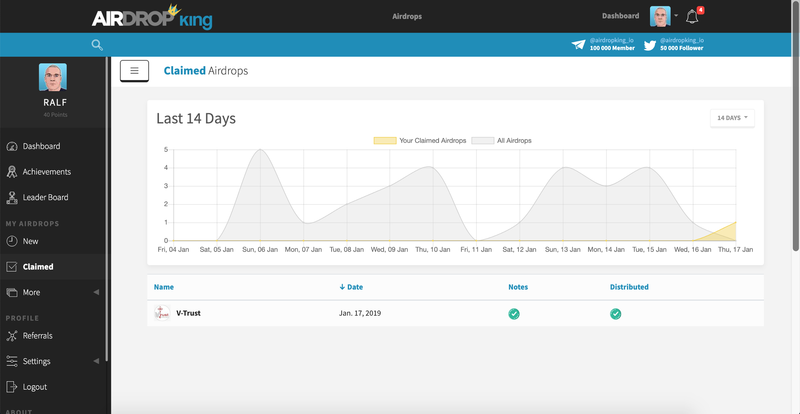 Sharing this with your friends grants you bonus tokens from exclusive airdrops on airdropking.io which are coming soon. There are way more features to discover and more will as well follow in the near future. Sign Up and discover them all! Like with all new software there might be some bugs. 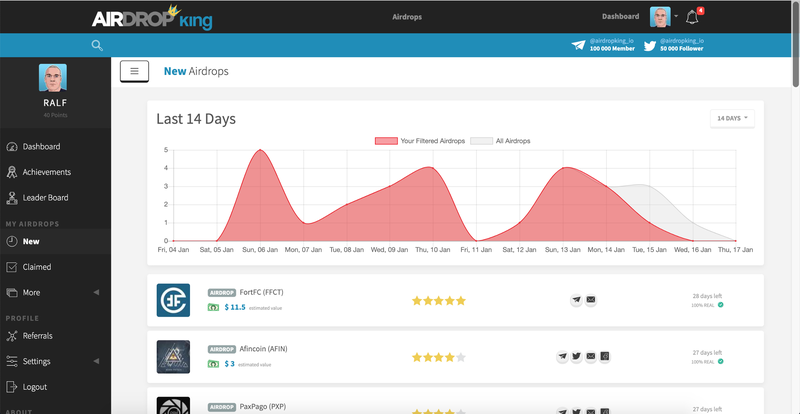 If you find one please contact us on Telegram at @airdropking_io_support or via mail on airdropkingio@gmail.com and describe it to us. Thanks for the support. We hope you enjoy it.